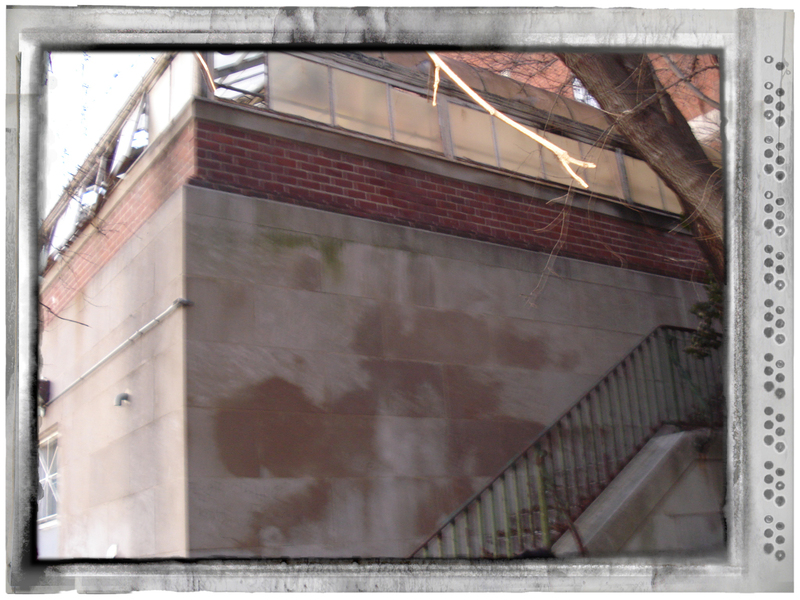 The Coolidge greenhouse was construted as a part of the orginal construction of the school in 1938. Due to lack of maintenance and use, the greenhouse is in desperate need of rehabilitation. The ACE Coolidge Team, along with the school’s Alumni association and other key stakeholders, not only plans to restore this historical keepsake, but also to create the first LEED certified school greenhouse in the area. If you ask the students at Coolidge SHS about the greenhouse, you often hear responses that they never knew we had one or that it has been abandoned for a couple of decades now. As part of the ACE mentor team project at Coolidge, our team proposed to bring the greenhouse “back to life” by renovating it and creating a new functional design to meet the school’s current and future needs. In addition to it being a place to study horticultural sciences, it could be a science research laboratory and weather center. The team found some historical items such as the alumni plaque dated from the Class of 1945 outside of the greenhouse building east wall and a stone bench with the engraving Class of the 1950. We as a team would like to form some attraction to these items by enhancing the landscaping around it so it becomes a place to cherish these relics from the past and be proud of the school’s history. Please refer to field condition survey, pictures, greenhouse presentation dated May/2009, and Coolidge Building report for more info. Our goal is to complete the greenhouse design/construction by this year so that the senior team members can appreciate coming back to something they helped to finish. We have started on the pre-design phase conducting surveys of the existing conditions of the greenhouse from an exterior and interior perspective. Once we come up with the initial design and space plans, we will simultaneously start procurement of long lead items such as the glazing. Funding for these larger items will be our biggest challenge so we as a team are trying our best to find sources. The mechanical, plumbing and electrical systems will have to be evaluated since they are in need of repair. Since there are not many greenhouses that are LEED certified, we are hoping to obtain this certification in the process so the students learn the process of being compliant with energy and environmentally design standards. In the process of cleaning the debris and materials left from decades of neglect, the team has come up with a recycling plan to sort items that can be reused. We are also evaluating the tie-in to the main school building so that energy in the form of solar can be used as well as reuse of water collected from runoff. Each floor space is 576 SF with two floors totaling 1,152 SF. The goal is to expand this greenhouse out to twice the size making it 2304 SF. Design costs would be $10/SF x 2304 = $23,040 (includes LEED consulting). Construction costs can be developed once the design is complete but roughly would be $115,200. By adding contingency at 10%, we are estimating this project to be roughly $200,000. The ACE Mentor team at Coolidge continued it's second year with more endeavors and fun events. 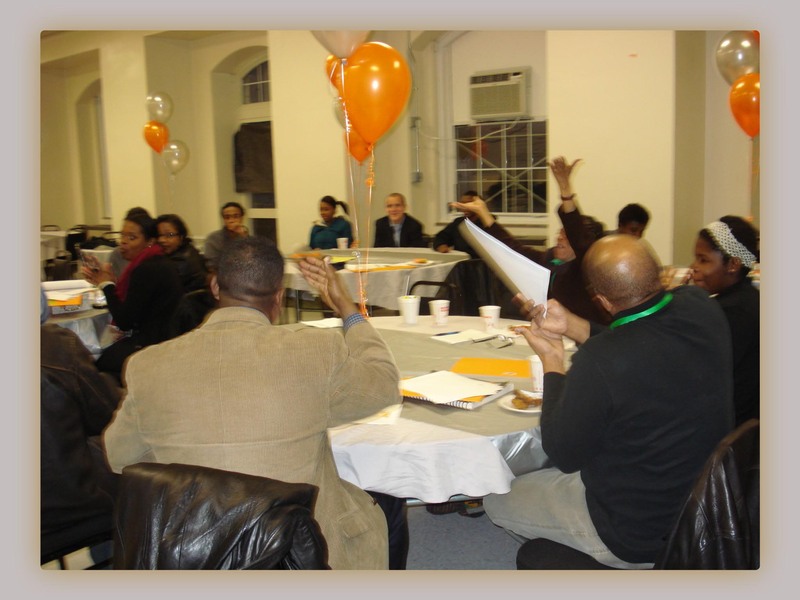 As part of National Mentoring month, ACE DC hosted an Open House at Coolidge in January 2010 with participants from the American Society of Landscape Architecture (ASLA), Takoma Park Association, American Forestry Service, Coolidge Alumni Association, and the Coolidge school administration. Generating more than $230 billion a year, the architecture, construction, and engineering industry combined represents the second-largest U.S. employer. Joined together, architecture, construction, and engineering— also recognized as the design-build industry— employ over seven million people, represent 10 percent of all businesses, and produce more than nine percent of the Gross National Product (GNP). The design-build industry is the most prominent aspect of American society. Yet, current statistics project the need for qualified, proficient professionals working in design-build will exceed the supply, with over one million job openings by 2012. If the U.S. is to preserve its technological infrastructure, as well as its puissant position in the global marketplace, it requires a supply of well-educated, skillful, protean workers. Although there always has been constant fluctuation of student enrollment percentages in U.S. engineering programs, student enrollment has drastically plunged approximately within the past decade. ACE Open House at Coolidge Rousing Success ! ! 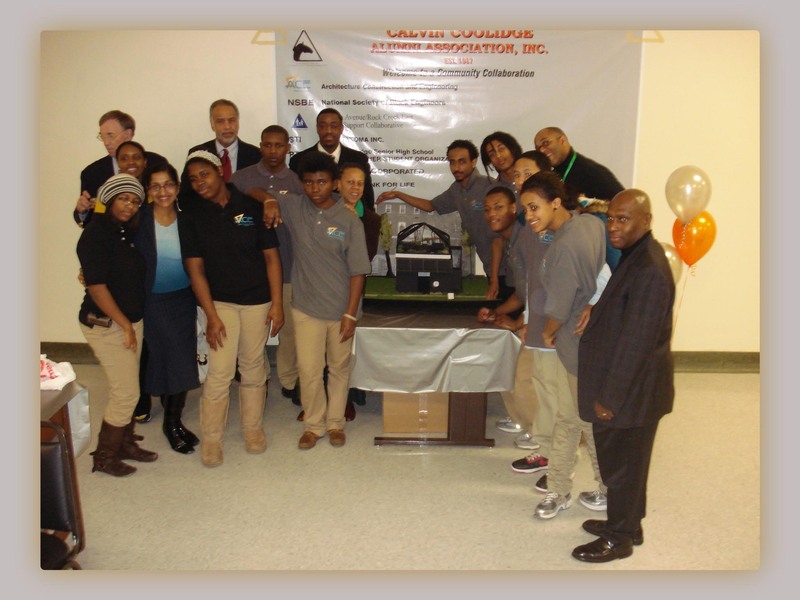 On behalf of the ACE Mentor Program in relationship with the Coolidge Senior High School administration, Coolidge Alumni Association, National Society of Black Engineers (NSBE), we would like to thank you for coming out and showing your support of the students at Coolidge SHS. Councilmember Bowser also sent us her wishes for the success of this event. Special thanks to Frank Jones (CCAA), Matt Bowling (Coolidge sports), Terry Going (Coolidge Administration) for help in coordinating this event. It wouldn't be possible without their time and effort so please take the time to thank them as well as the students who worked hard during the holiday break to make this an exciting event for all. 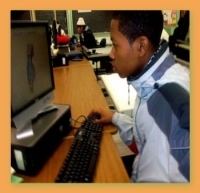 If you would like more info on the ACE Mentor Program, please go to www.acementor.org. In addition, if you would like to contribute through grants, donations, or ideas to the greenhouse project, please contact Frank Jones (CCAA) by email at FRANK.JONESIII@US.ARMY.MIL or by phone at 202-369-5644. Again, we wish the continued support of the students in the ACE/NSBE Program at Coolidge as well as the existing greenhouse project coming to fruition. Thank you again for the encouragement and support and please feel free to stop by our weekly ACE/NSBE sessions held every Thursday at 4:30pm in Room 107 Coolidge SHS. will continue its Capstone project from last year and continue efforts to rehabilitate the school’s greenhouse – a gift from the Class of 1945. Currently, the mechanical, plumbing and electrical systems are in need of repair and slated for evaluations. In the process of cleaning the debris and materials left from decades of neglect, the ACE Coolidge Team has come up with a recycling plan to sort items that can be reused. They are also evaluating the tie-in to the main school building so that solar energy can be used; and water collected from runoff will be reused. 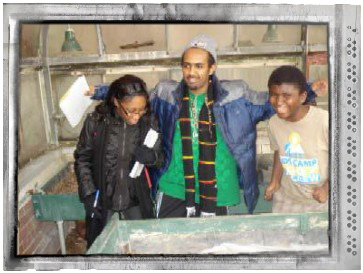 Most students at Coolidge do not know of the school’s greenhouse; or that it has been abandoned for decades. With adequate funding, the ACE Coolidge Team aims to change that by bringing the greenhouse “back to life” and creating a new functional design to meet the school’s current needs. The team also plans to preserve such historical items of the greenhouse as the alumni plaque and “Class of 1950” engraved stone bench. ACE is an acronym for architecture, construction, and engineering. It is a unique partnership among industry professionals, college and university representatives and professional organizations. 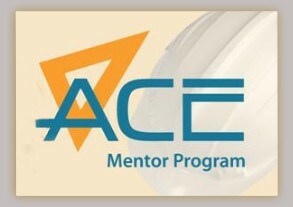 The ACE Mentor Program’s mission is to enlighten and increase the awareness of high school students to career opportunities in architecture, construction and engineering – as well as other related areas of the design and construction industry – through mentoring and scholarship awards. For more information, or for inquiries on how to become involved, contact Executive Director Trisha Grant, LEED AP at tgrantdcafffiliate@acementor.org and/or 202.577.3028. 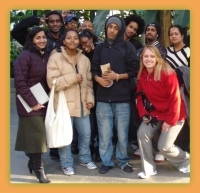 Or visit: www.acementor.org. 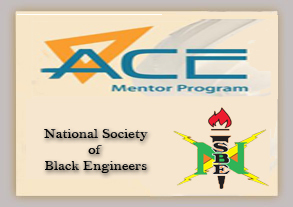 The ACE (Architecture, Construction, Engineering) Mentor Program is conducting a pilot program partnering with NSBE (National Society of Black Engineers) at Coolidge Senior High School, Washington DC. 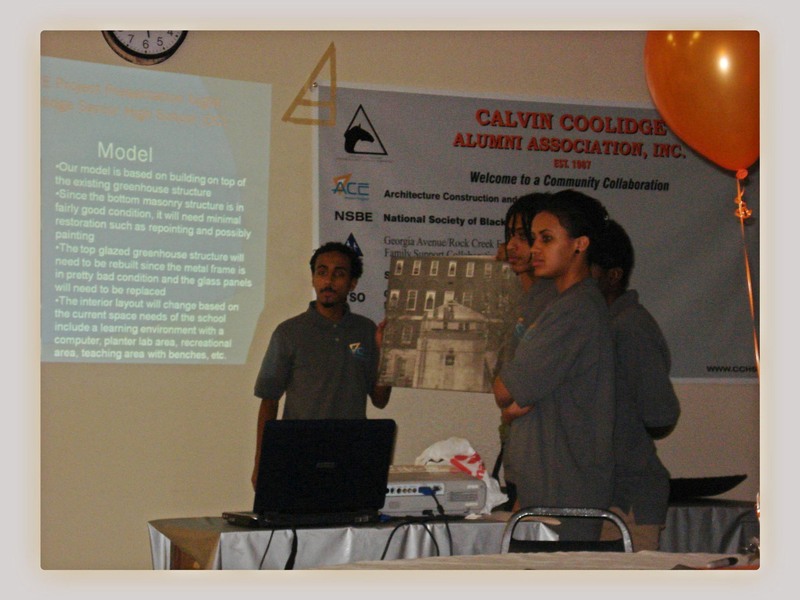 This will be the first chapter of NSBE established at Coolidge by student Presidents Micky and Mattheos, students vice-presidents Carl and Demarcus, student co-secretaries Sara and Fernandez. Kenjie Davis from NSBE is our POC for this new establishment and Franklin Moore is the overall Director of NSBE for this region. Please refer to the NSBE Fact Sheet (1 page) and History of NSBE document for more info on NSBE. 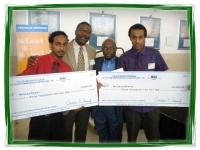 You can also go to their website at www.nsbe.org.